Obituary for Marie (Senchyshyn) Wittmer | Timothy A. Berkebile Funeral Home Inc.
Marie Wittmer, 87, of Bedford, died on Monday, April 16, 2018 at her residence. She was born on November 23, 1930, in McKeesport, a daughter of the late Nicholas and Olga (Pechar) Senchyshyn. On January 17, 1953, in Pittsburgh, she married William H. Wittmer who preceded her in death on October 7, 2008. She is survived by the following family: a son, William N. Wittmer, of Stoystown; three daughters, Alison Dickson and husband Larry Jr. of North Huntingdon, Diane C. Wittmer, of Bedford, Linda A. Little and husband Gavin, of Bedford; four grandchildren: Vincent, Isaac, and Hayden Little and Nicholas Dickson; one sister Joan Senchyshyn, of Pittsburgh. 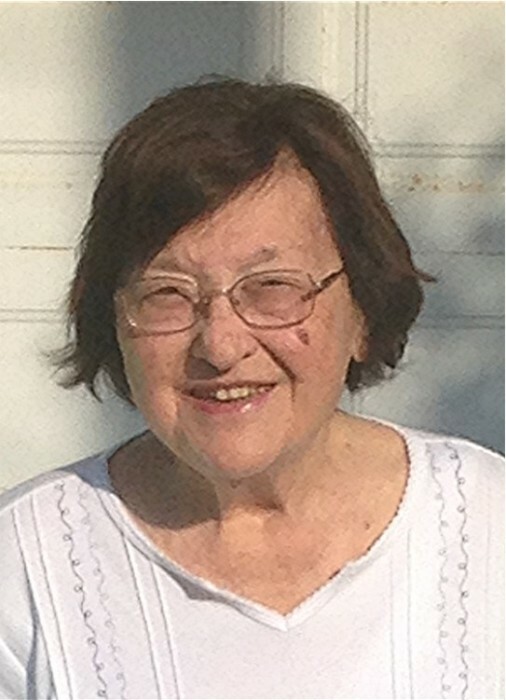 Marie was a member of St, Mary Byzantine Catholic Church in Windber. She and her husband owned Penland Diesel in Bedford and worked there until their retirement. Funeral Mass will be held on Wednesday, April 18, 2018, at 11:00 a.m. at the St. Mary Byzantine Catholic Church, in Windber, with Father Robert F. Oravetz officiating. Burial at Bedford County Memorial Park. There will be no visitation. Arrangements by the Timothy A. Berkebile Funeral Home, in Bedford. In lieu of flowers those wishing may make memorial contributions in Marie’s name to the St. Mary Byzantine Catholic Church, 803 Somerset Ave., Windber, PA 15963-1430. Our online guest book is available at www.berkebilefuneralhome.com.